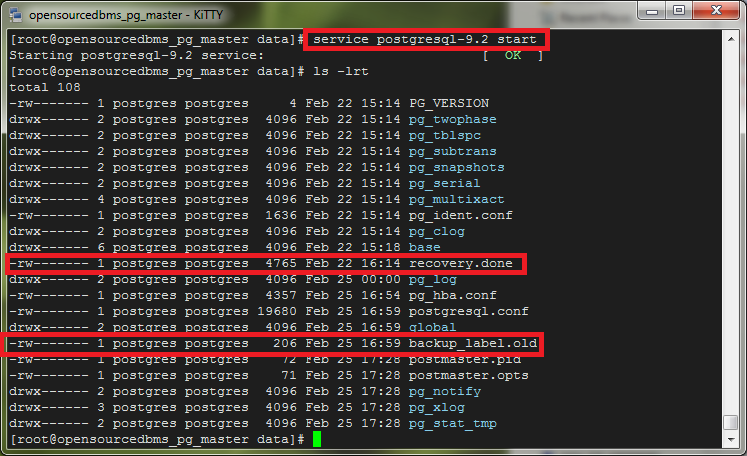 This post explain how to do point in time recovery: PITR using pg_basebackup with PostgreSQL 9.2. This is a bit easier than using PITR with low level API backups as explained in this post. This is very nice powerful utility provided along with PostgreSQL installation for taking low-level backups. In order to make this basebackup tool work, we need to first set some configuration variables in postgresql.conf file which is usually located under data directory [Default of Redhat based systems is: /var/lib/pgsql/9.2/data]. 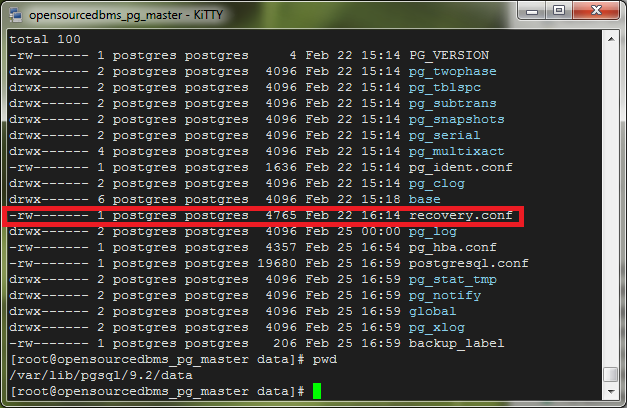 Now create archive directory to ship log segment files to a directory other than pg_xlog directory which is located under postgres data directory, as this pg_xlog directory will not be backed up when you use pg_basebackup utility. psql -c "CREATE ROLE base_backup_user REPLICATION LOGIN PASSWORD 'backupuser';"
Note: This hba rule is just example. Please change these according to your needs/environment. Now you are ready to restart database engine for making all these changes to be in effect. You have successfully backed up your data directories. There should be a directory named "backup" created from where you have issued this command. If you open this directory you will see the tar file of the data directory. If you have multiple tables spaces then you will see multiple files here one for each table space. Lets say the day have arrived and bad things happened. Now you have your archived logs and base backups to restore data from. Stop PostgreSQL server if running and move contents existing data directory to different location for restoring backups. At this point you have your files extracted properly into your directory. 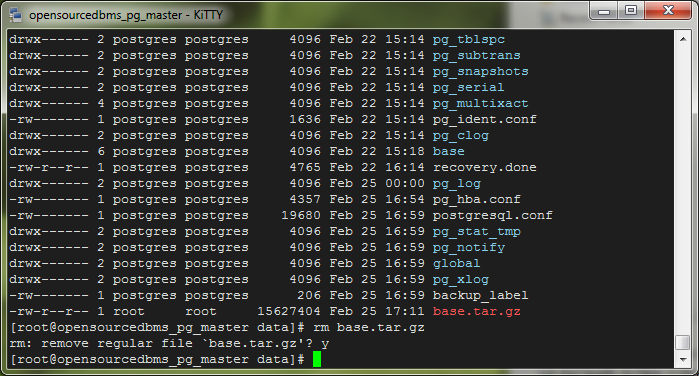 Go ahead and remove base.tar.gz file from this data directory to keep it clean. # archive recovery or standby mode. # Comments are introduced with '#'. # in the PostgreSQL documentation. # which is replaced by the absolute path to copy the log file to. # It is important that the command return nonzero exit status on failure. # archive; it must return nonzero when so asked. # expect them to be interchangeable. # specifies an optional shell command to execute at every restartpoint. # This can be useful for cleaning up the archive of a standby server. # specifies an optional shell command to execute at completion of recovery. # This can be useful for cleaning up after the restore_command. # By default, recovery will rollforward to the end of the WAL log. # must set a recovery target. # just after or just before the given target, respectively). # the latest branch for which there's a history file. # hot standby is not enabled, or if no recovery target is set. # connection string and receive XLOG records continuously. # and open the system in read/write mode, specify path to a trigger file. # primary server when it's found. Now you are ready to restart your postgres engine. Database server will automatically go into recovery mode for restoring all the data properly. Its highly recommended to update your hba.conf file to not allow any other users until this recovery is properly complete. PostgreSQL engine with rename the file recovery.conf to recovery.done under your data directory [/var/lib/pgsql/9.2/data] after it finishes restoring, in addition to this it will also rename backup_label to backup_label.old. And after couple of minutes you should have successfully restored your database to last check point that your archive logs recorded. Make sure that you cleanup your wal archive logs located under /var/lib/pgsql/pg_log_archive/ from time to time, if not you will soon run out of disk space. PostgreSQL provides us with a archive log cleanup utility. Use this to cleanup logs from time to time. You can always simply delete logs before last backup point. Backup point files are denoted with .backup extension under your archive directory. Thats all folks, try it on non-prod servers couple of times before you implement on prod environments. Also tweak the commands to your needs. Thanks, Prashanth, for this working example! I’m a PostgreSQL user, not an administrator. So your post helps me a lot to sort out my problem, that is funally handled. Excellent – all good things are simple. Thanks for the explanation about pg_basebackup. This post has been an invaluable resource for setting up and testing continuous backups. Thanks for that. 1. With the old server running, log in as a superuser and run "checkpoint;" and "select pg_switch_xlog();". This forces logs to flushed. If the old server is dead, skip this step. 2. You want to use the most recent pg_xlog data, if available. If you do not have the /tmp/data.old directory, skip this step. 2a. Delete the contents of /var/lib/pgsql/9.2/data/pg_xlog as restored from the base backup. 2b. 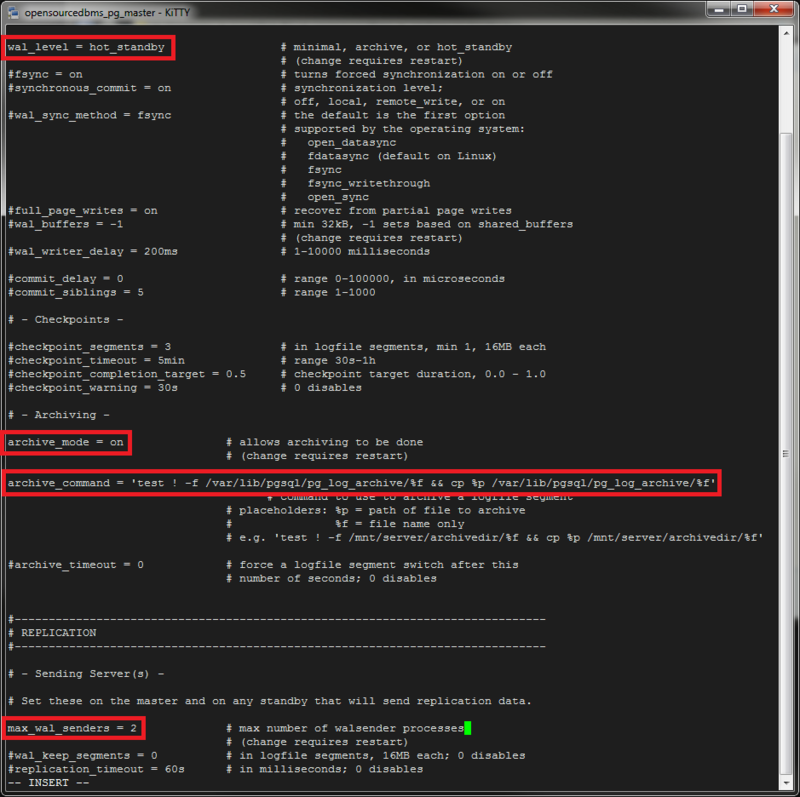 COPY (don’t move) the contents of /tmp/data.old/pg_xlog (the more recent data) to /var/lib/pgsql/9.2/data/pg_xlog. Thanks for the detailed post. I have a question, is it mandatory to set the wal_level to ‘hotstandby’? I am running a standalone server and I am using pg_basebackup only to backup the data which can be used by the same server when it comes up after crash. Does wal_level=’archive’ suits better in my case? Quick question – All my wal archive files are gzip’ed during the archive process, so how would i modify my restore command to first gunzip the files before restoring? Great Post! I have set up PITR now! Is it possible to schedule the backup to run everyday at a particular time?